The Pixel 3 and 3XL is next of Google Pixel smartphone brand. Soon enough the pixel 3 devices will be the onboard smartphone being discussed online. The pixel 2 and Pixel 2XL was indeed successful as they were recognized as the best flagship smartphone offering high-quality top-notch cameras and easy access to Google Assistant. 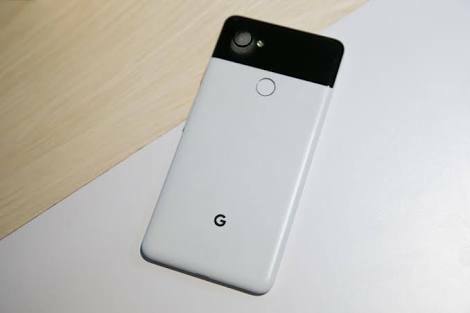 Last year, the Pixel 2 and Pixel 2XL were manufactured by HTC and LG, before Google acquired part of HTC hardware team. But now, according to WinFuture.de, the Pixel 3 and Pixel 3XL is manufactured by Google in partnership with Foxconn Subsidiary FIH Mobile. According to Bloomberg, a notch and edge-to-edge design will be part of the larger Pixel 3XL only. Comparing the notch with the one in the iPhone X, the difference will be that the Pixel 3XL notch will be narrower and taller than the iPhone X notch. Just like every Pixel, the Pixel 3XL and its smaller model will feature stereo speakers. Both devices will feature only one camera lens on the rear while at the top front sits the dual cameras. Over at XDA Dewvelopers, a forum user, meraz9000 shared some photos leaking the Pixel 3XL. Justifying the shared photos, and if they are legit, the Pixel 3XL will feature dual front cameras, a notched display, and an all-glass back. On closer examination of the leaked image, the back is craftily designed with one slab of glass with a matte finish portion on the lower part. This could also be a sign that the handset will possess wireless charging support. Again, the Pixel 3XL dimensions are reportedly similar to that of the Pixel 2XL at 6.2 x 3 x 0.31 inches. Though the display may have a 19:9 aspect ratio. These anticipating devices are rumoured to be built on Android's latest Operating System, the Android P. I bet this is true because Pixel devices are always the first to receive any OS update from Google. In accordance to the new code of the beta Android P OS spotted on XDA Developer, describing a feature that could relate to wireless charging, predicts that the Pixel 3 and 3XL devices will likely be the first Pixel devices to feature wireless charging. The performance of the Pixel 3 variants is gonna be awesome with the Snapdragon 845 onboard. Probably Google is planning to integrate this chip with its next generation of phones. However, the chip will probably find its way to many high-end smartphone devices this year. The size of RAM the Pixel 3 variants will have is what we have not confirmed. But rumours predict that the bigger Pixel 3XL should be maintained with 6GB RAM size. Probably the Pixel 3 may stick to 4GB RAM like its predecessors. The release date has not been officially announced, however, if Google should maintain its history then probably the Pixel 3 devices could be unveiled on October just like the Pixel 2 and Pixel 2XL was released on October 19. The Pixel 3 and Pixel 3XL devices are to be launched soon, though the speculating rumour specs have not become official. Everything you should know about these devices is yet to be confirmed by the company. However, most rumours and leaks usually become true when they have been announced.